The Pilot, sometimes referred to as the Space Jockey, was an Engineer who piloted the spacecraft that crashed on LV-426. The Pilot's body was discovered by the crew of the USCSS Nostromo, in the iconic opening scene of Ridley Scott's Alien. 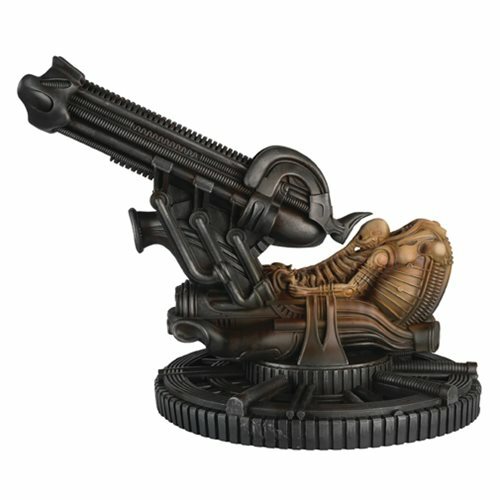 Now Eaglemoss has brought the iconic Space Jockey to life. Produced in metallic resin and hand painted, the impressive statue stands about 9 1/2-inches tall and weighs over 4.5 pounds. Ages 14 and up.